Great businesses are developed from great workplaces. So is the case with St. ERHARD. Our office is located in Innovations- und Gründungszentrum (IGZ) Bamberg which translates to Centre for Innovation and Entrepreneurship. Today I will talk about our office premises and what is it that makes it very special and motivating, to wake up in the morning and wanting to go there. As the name says, the whole premises are just built for young start-up businesses which are still growing. It’s owned and run by the municipality of Bamberg which wants to promote young businesses locally. The administration here is trying best to develop and flourish new start-ups and is motivating young people to generate new ideas and turn them into a profitable product/service offering. 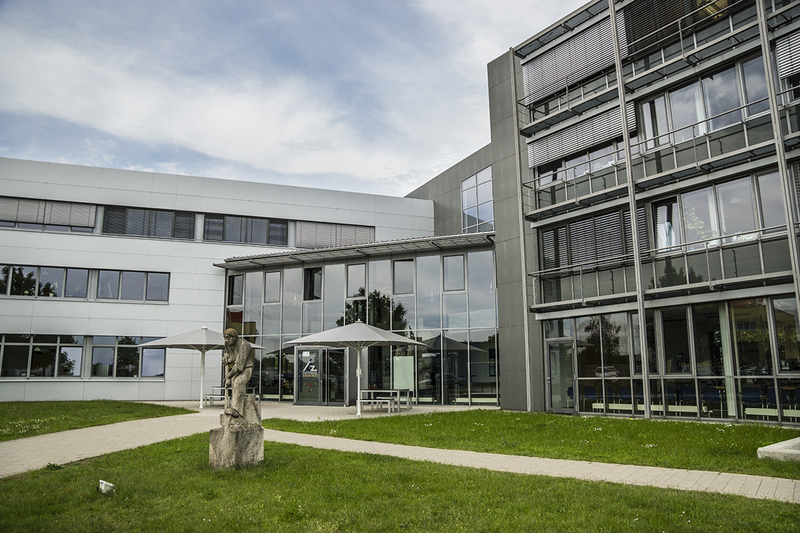 The business centre is located in the vicinity of one of the University of Bamberg’s campuses and is equipped with well built offices and conference rooms. There is something else which makes this place more interesting and very challenging to be in. Just to promote entrepreneurship, IGZ only allows businesses to stay there for a certain period of time. After that the office space is provided to a new venture. This makes sure that the venture makes the most of the starting phase and as soon as it gets big enough then it’s time to give the chance to a new business idea to grow in IGZ. Nonetheless, the rent is subsidized for all the businesses, in compared to offices in other business centers, to make sure that rent doesn’t become a burden on the businesses in the initial phase. IGZ currently has about 25 different businesses running under one roof. There are networking events where businesses come together and discuss about what they are doing do impact the society and present their product/service offering in front of everyone. One event was recently organized on 17th of May with St. ERHARD being the main sponsor. With all the companies presenting their business ideas, they also enjoyed and appreciated how St. ERHARD is growing and spreading German beer culture abroad starting from Asia to all the other parts of the globe. We are proud to be a part of this versatile business community and to run our operations out of this dynamic initiative. 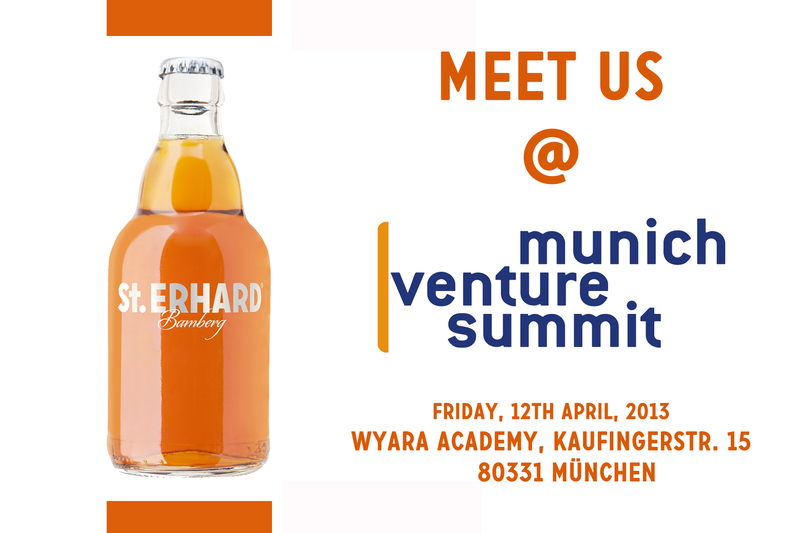 It gives me immense pleasure to announce that St. ERHARD will be a sponsor at the Munich Venture Summit 2013. It will be the second time we will be doing that. Our presence at the Venture Summit 2012 was extremely successful. We were able to portray this idea of exporting German beer to Asia and making St. ERHARD the synonym of German beer abroad. We were successful in portraying what our brand wants to achieve in near future. Our Founder and CEO Christian Klemenz initiated the idea of organizing Munich Venture Summit back in 2009 during his studies at Munich Business School. The idea was to bring companies, ideas and opportunities together under one roof. Today I am glad that I will be the part of the same again. Last year at Munich Venture Summit 2012, I was in the organizing committee. It was a great experience meeting companies like Groupon, Wayra Academy, O2 Telefonica and many other start-ups and learn from their success or failure stories and interact from the people behind them. Also, Christian and I first met at the MVS `12 and now ended up working together. This is the power this platform has. I am sure that this year it will be much bigger and the experience of attending the event, networking and sharing ideas with entrepreneurs will be worth the time, money efforts spent there. I personally believe Munich Venture Summit is not just an event but it’s a platform to educate and enlighten people about issues like entrepreneurship, VC funding, change in the corporate landscape and so on. We will be looking forward to meeting you all there!